The Gamma Live Wire Revelation 1.32mm tennis string set utilises Live Wire technology that combines a multifilament construction with TNT2 technology to deliver maximum power and control. The Live Wire technology creates Live Wire monofibres by energising the molecules of the polymeric material and accelerating the cross linkage between them. Due to fusing Live Wire filaments instead of bonding them the string provides a firmer yet more forgiving feel. Its outer surface has a hard pearl coating to prevent notching and ensure extra durability. The set is 12.2m (40ft) long. 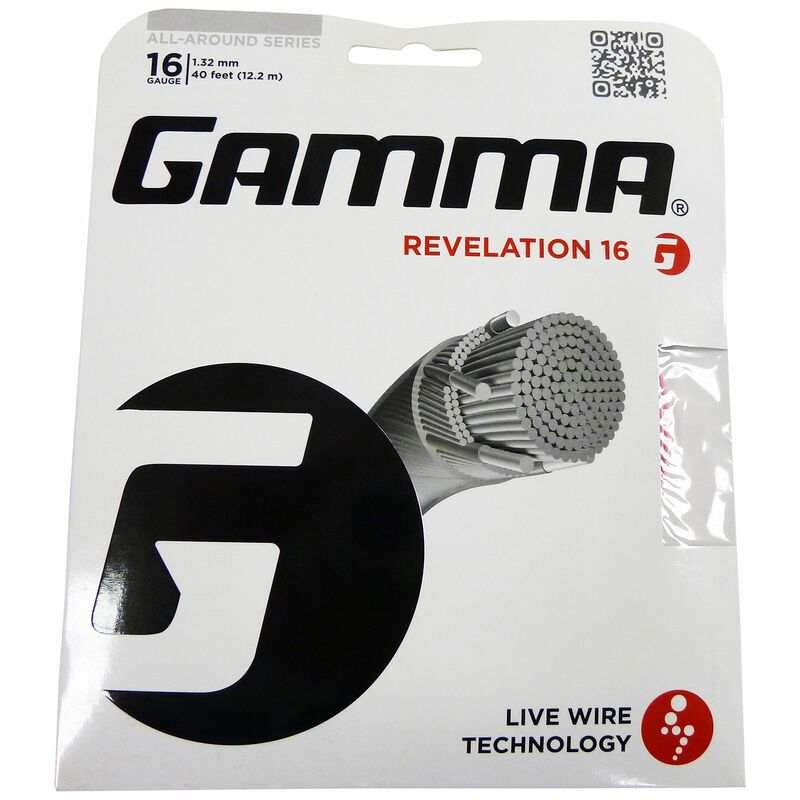 for submitting product review about Gamma Live Wire Revelation 1.32mm Tennis String Set.